Artificial intelligence (AI) has been making headlines lately as more and more products are becoming smarter and more connected. Google’s new AI lab in Toronto, and its public-private partnership with the Universities of Toronto and Montreal to develop and commercialize AI ideas and talent. Microsoft’s acquisition of Montreal-based Maluuba (a global leading deep-learning research lab) and its funding of AI research in the amounts of $6 million to the Université de Montréal and $1 million to McGill University. The announcement of the Vector Institute, a new AI initiative supported by the Ontario government, the Canadian government and as many as thirty other companies. This news comes on the heels of what the Federal government describes as the Innovation Budget; making it hard to escape all the recent tech news and role AI could play in the businesses of the future. Virtual assistants, smart speakers and connected devices were the rage at this year’s Consumer Electronics Show, including Amazon’s cloud-based virtual assistant Alexa, who lives in several devices including Echo, Echo Dot and Tap. Unlike existing virtual assistants (like Siri who is locked to the universe of Apple), Alexa caught our eye because the technology is extensible. With Amazon opening the platform and service to third-party developers, like Whitecap, we can create our own capabilities or “skills”. Through Alexa Voice Service (AVS), we are now able to create a voice interface for any web application. This makes Alexa very impressive in terms of what she’s capable of doing. 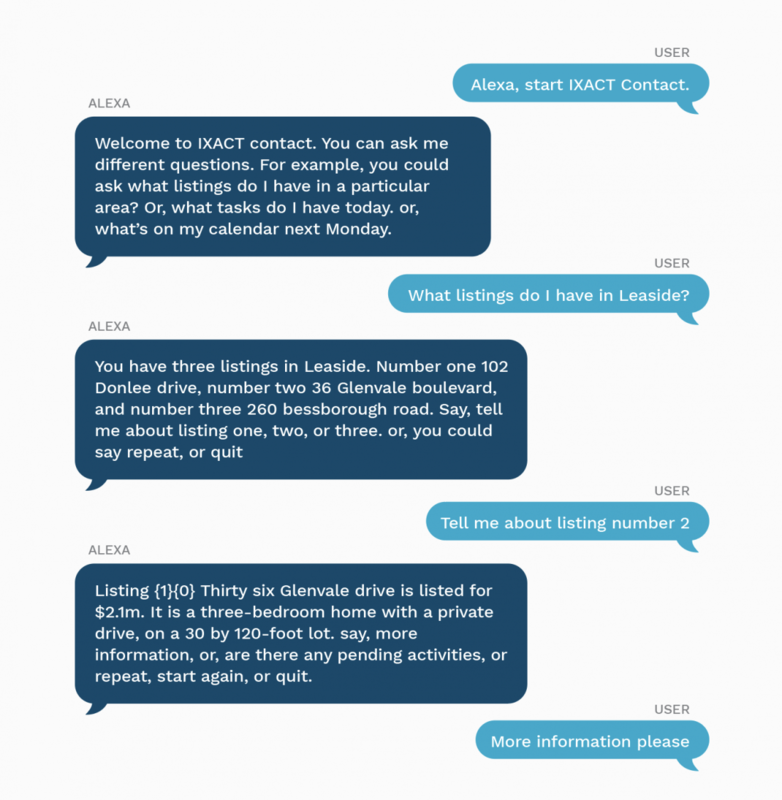 In this example, Alexa, in conjunction with our web application, was programmed to understand context so users can ask follow-up questions without having to restate the previous query. Understanding context makes conversations with Alexa feel much more natural and fluid. Alexa has many out of the box functionalities (or skills) many people might already be familiar with, such as home automation features. You can ask Alexa to lock the front door, play music, dim the lights, lower the temperature, set a timer, or add an event to your calendar. But, she can do much more. Alexa is a leap forward in accessibility, providing an open experience for everyone. Imagine the possibilities and challenges it can solve for users who are visually impaired, living with a disability, or in a situational limitation. Someone with a visual impairment might have used previous technology to get an entire website read to them. Today, with Alexa integration, they could ask very specific questions to get the exact information they want. Next week, we’re showing our customer CNIB how Alexa could provide a list of specialists (based on device location) using only your voice. We can’t wait for the demo! I honestly can’t think of another customer we have who could benefit as much from this technology as CNIB. This new technology presents major disruption in computing by providing people with another way to access online content – your voice. For companies or service organizations looking to have a more direct, natural connection with their customers, Alexa provides that capability. With her Skills, companies can create their own experiences. 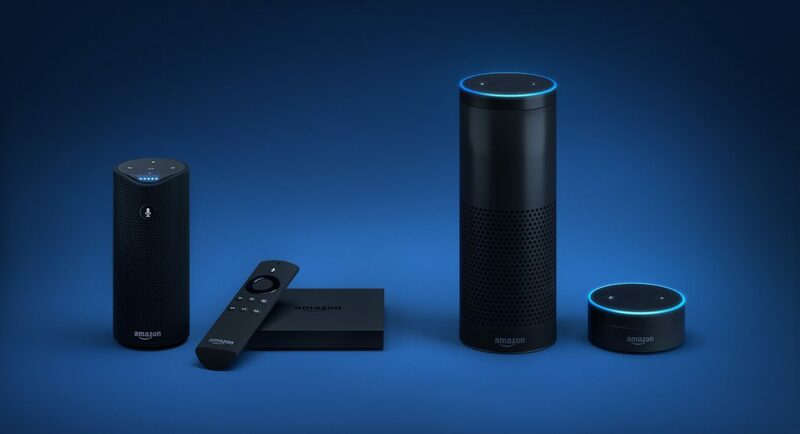 WebMD, Fitbit, and Boston Children’s Hospital are just some early adopters using Alexa Skills to connect with customers in their homes. We see many possibilities for our customers too. Whitecap has already developed an Alexa Skill to monitor real-time electricity usage. This required us to teach Alexa about common hydro terms and we’re starting to test integration with Whitecap’s MyHydroEye so we can ask Alexa to access information like current time-of-use, cost per kilowatt during that time, and access real-time usage. We’ve demonstrated how MyHydroEye could be voice-enabled to make it even more convenient for home owners to measure and monitor electricity consumption and costs. With Amazon still working on launching Echo in Canada, the time is right for businesses to get ahead of this game changing technology. Consider how your business could leverage voice assistants to better serve your existing customers and users, or be accessible to new ones. 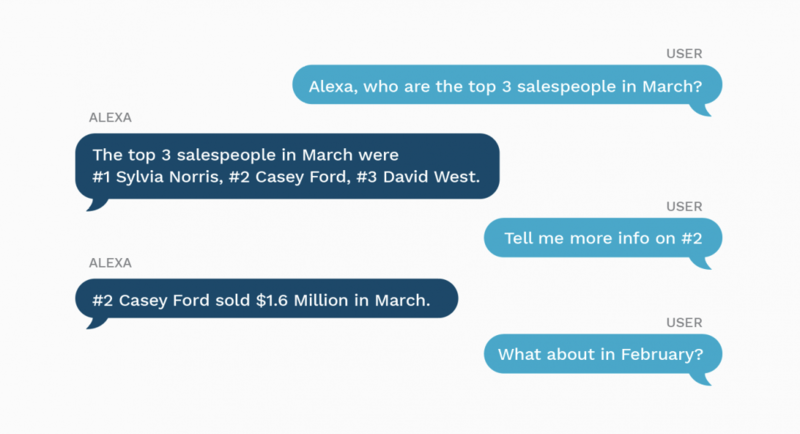 The possibilities for voice assistants in business are many, including complete automation of inquiries to increasing productivity and responsiveness, to a hybrid model that leverages the best of AI without losing human connections. Ready to bring voice assistance and AI into your business? Let’s get started. Let’s get started and get your business to where it needs to be — contact us.